It’s easy to feel like we have a lot on our plate. 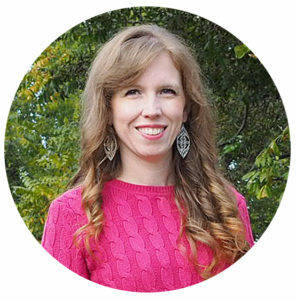 We get consumed with all the things that need to be done. When I’m feeling particularly overwhelmed I know it’s because I’m spending too much time focused on myself and not enough time on others. With summer in full swing a similar phenomenon happens with the kids, but instead of feeling overwhelmed their main complaint is boredom. However, it’s still a focus on themselves and not on any one else. 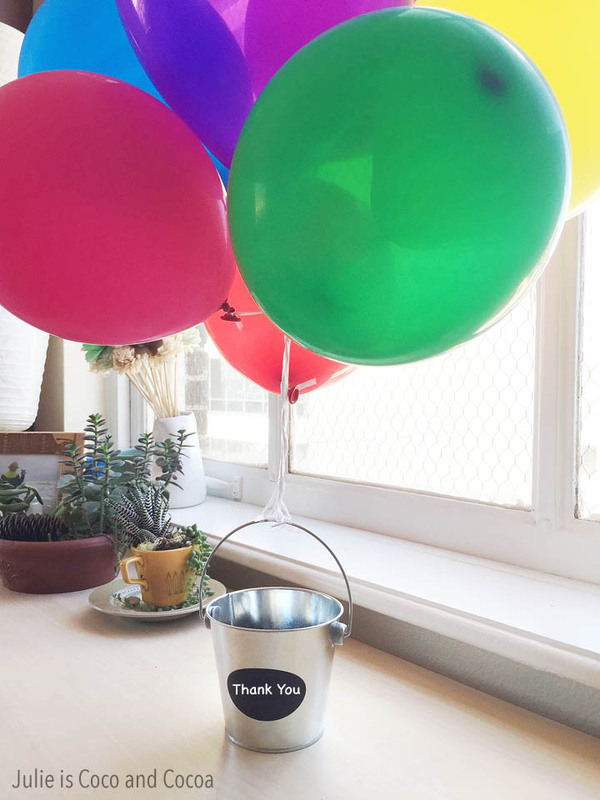 Everyone loves a smile, a thank you, and some balloons. So we’re putting together Hot Air Balloon Pails that we can deliver together. 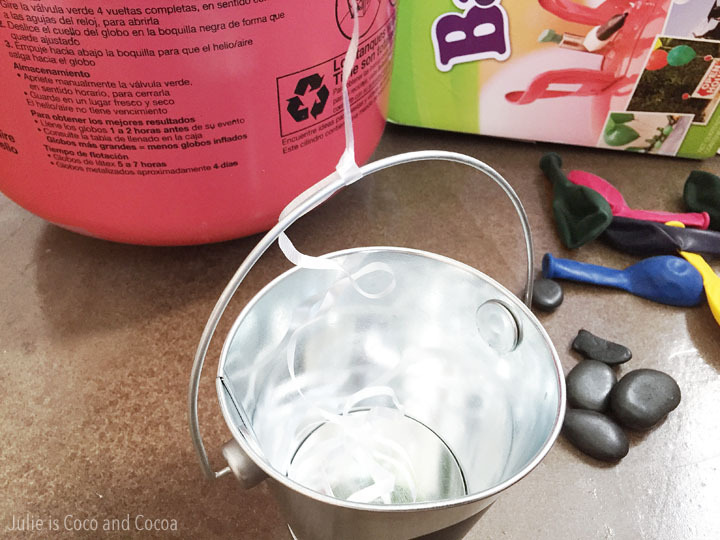 Start by filling the balloons and tying them to the pail handle. 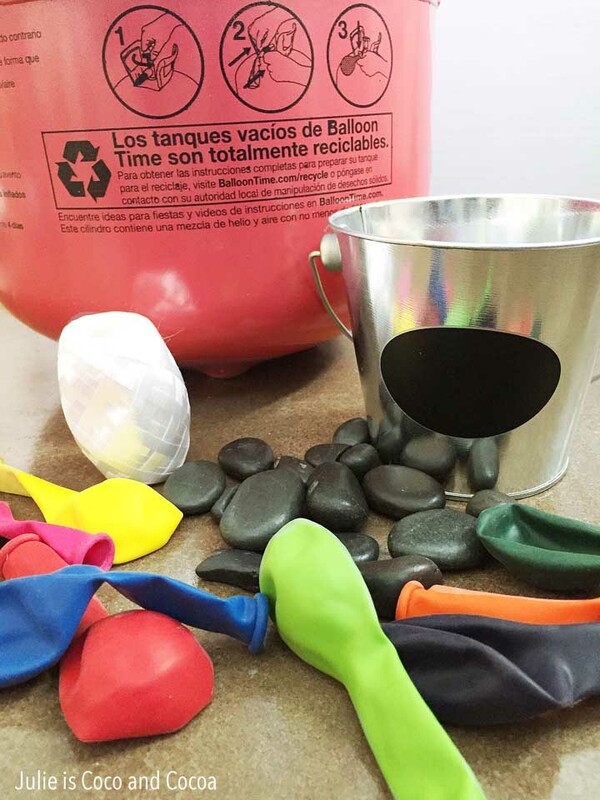 I bought a package with 4 pails and I divided the balloons as evenly as I could between them. Our helium tank filled the 30 balloons that came in our box. 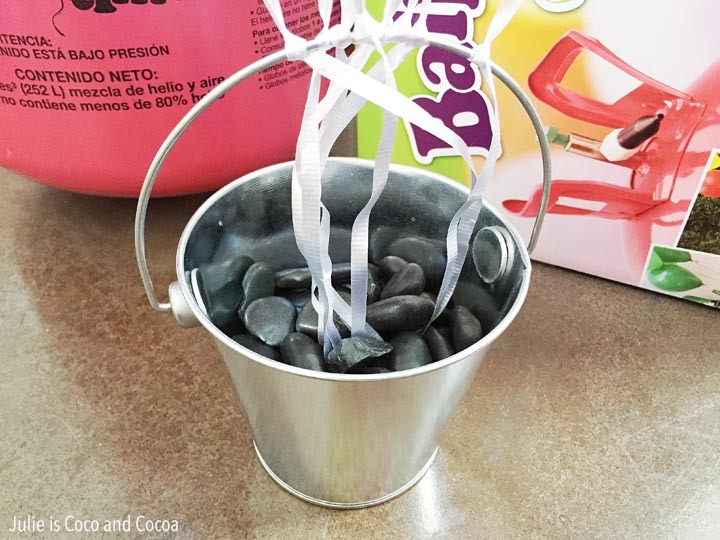 Once the balloons were tied to the pails I filled them with rocks. 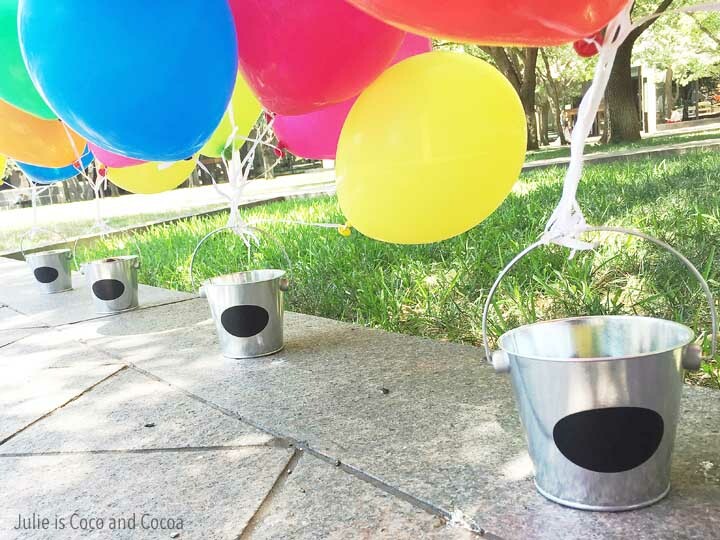 This wasn’t really necessary, the balloons weren’t strong enough to lift the pails, but it did give them more stability. And I thought they looked better. 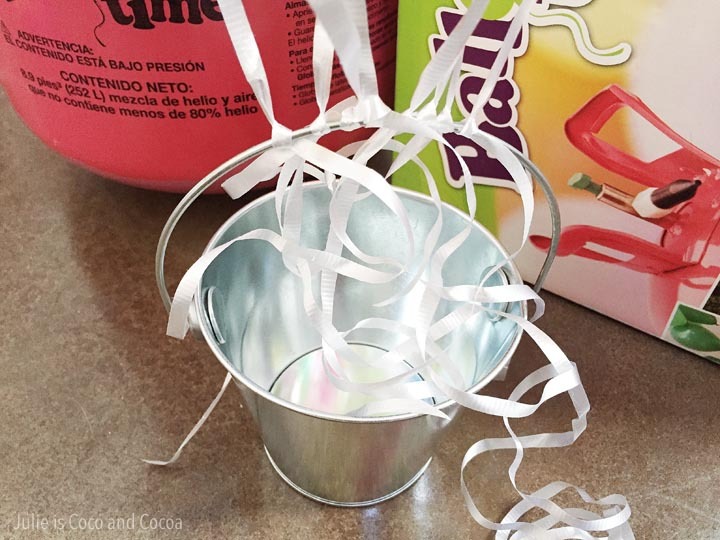 You could also fill the pails with some kind of homemade treat, like cookies or brownies. 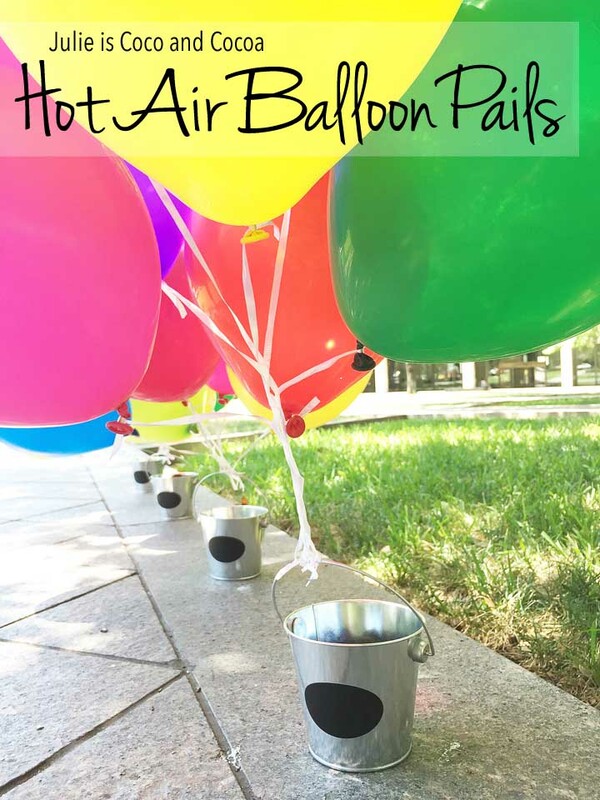 Time to deliver our Hot Air Balloon Pails! 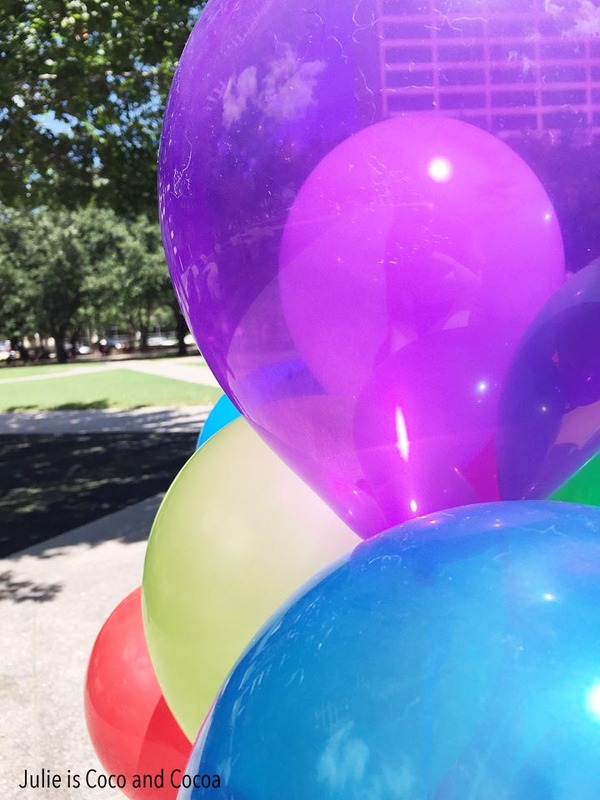 Need more ideas for balloon surprises? Check out the Surprise Anywhere video.